We have a new look LibrarySearch interface! We have released a new version of LibrarySearch which you can start using immediately. You can reach the new LibrarySearch homepage by clicking the link on the current homepage. As you can see from the screenshot, it has a totally different look and feel. 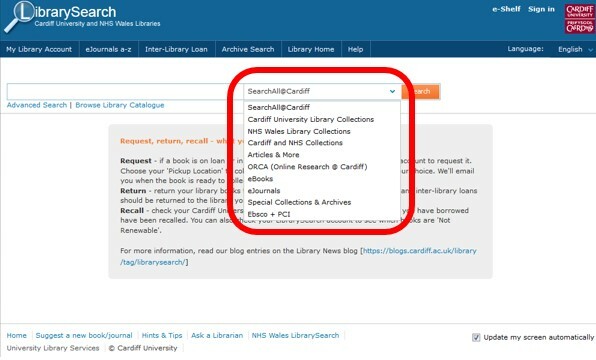 There is still a single search box which will default to SearchAll@Cardiff (see our previous blog post about SearchAll). Remember, you must be logged in to access all of the features mentioned above. Staff & Students will log in using your normal University login details. Community members and NHS members will see the second screen below where you will log in with barcode and password and select the appropriate membership type in the drop-down menu. 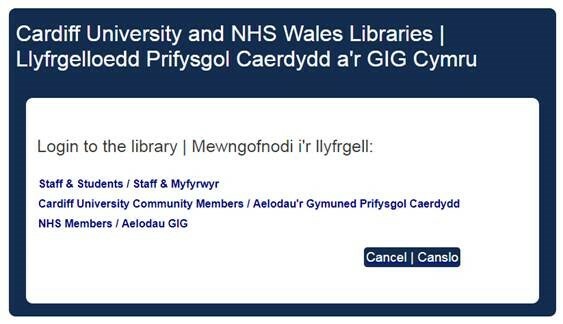 And of course, LibrarySearch is available in both English and Welsh. To select your preferred language, click on Sign In in the top right-hand corner of the screen and change the language. If you are signed in and change your language choice, this choice will stick every time you sign in. Are there any changes to the ‘old’ LibrarySearch? Yes: you will no longer see three tabs above the search box on the homepage. You can still access these search options by selecting them from the drop-down arrow to the right of the search box. You’ll find Library Collections, Articles & More plus other search options in the drop-down list. 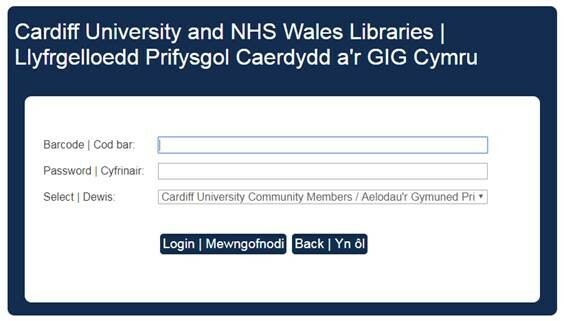 Community Members and NHS members will also now see the new look sign in screen on the ‘old’ LibrarySearch, as described above. You can continue to use the old LibrarySearch for now, we will eventually be removing it from service – dates will be announced. 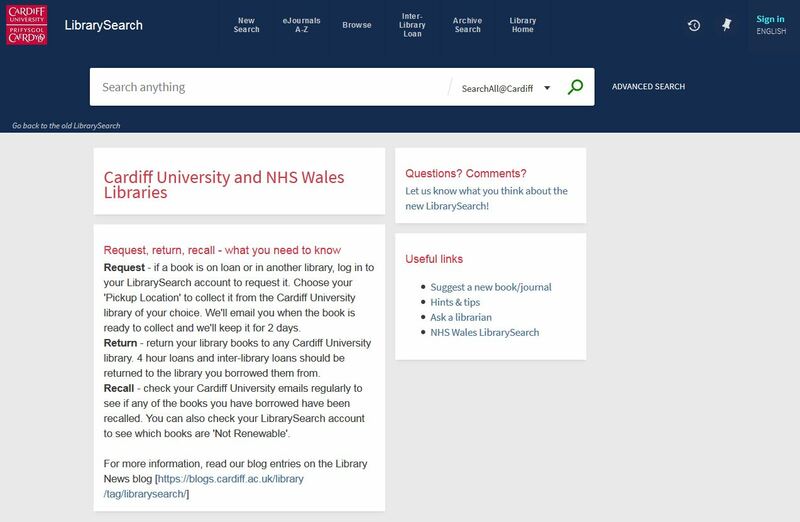 We would love to hear your comments and feedback about the new LibrarySearch: click on the link in the ‘Questions? Comments?’ box to complete a short survey.